Poor Flappy Bird. It flapped too close to the sun, and now may never flap again. Flappy Bird creator Dong Nguyen posted on Twitter earlier today that he will pull the ultra-difficult, ultra-sparse mobile game from both the iPhone and Android app markets early Sunday. This, hot on the heels of reports that Flappy Bird rakes in over $50,000 per day in ad revenue. "I cannot take this anymore," said Nguyen, presumably in reference to the notoriety that came along with Flappy Bird's popularity. He clarified that the removal has nothing to do with legality—a fair question, considering all sprites in the game appear to be ripped from Super Mario Bros. He also declined to sell the game to someone else, after numerous people inquired. Flappy Bird has become a love it or despise it sort of game, with its easy-to-play, pretty-much-impossible-to-master mechanics. 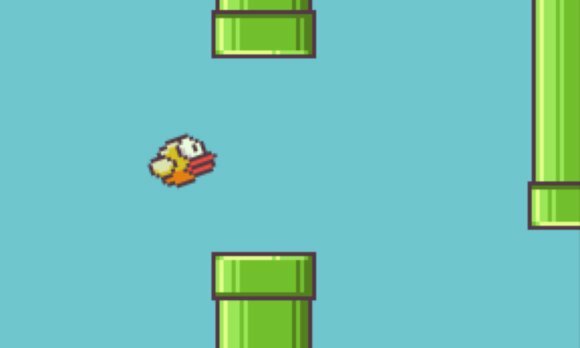 All you do is tap the screen to make your bird flap its wings, with the goal to fly between as many pipes as possible. And it's really hard not to mess up. It's difficult to describe, so you're better off trying it out for yourself if inexplicably you're one of the five people on Earth who haven't already broken their phone in half from Flappy Bird frustration. Better move fast, though—you only have a few more hours to download the game before it's lost forever. This story, "Flappy Bird creator says he's removing the game from app stores tomorrow" was originally published by TechHive.